Imagine yourself sipping coffee at the window of an enchanting Île-de-France apartment. Outside, glamorous crowds walk the gardens of Versailles. Inside, you are surrounded by opulence: curtains embellished with fleur de lis and ornate medallions, brilliant yellow and gray bedding, pillows of every size rounding out the warmth of this lavish space. Now, imagine this is your home, designed with a style inspired by the palace of Versailles. 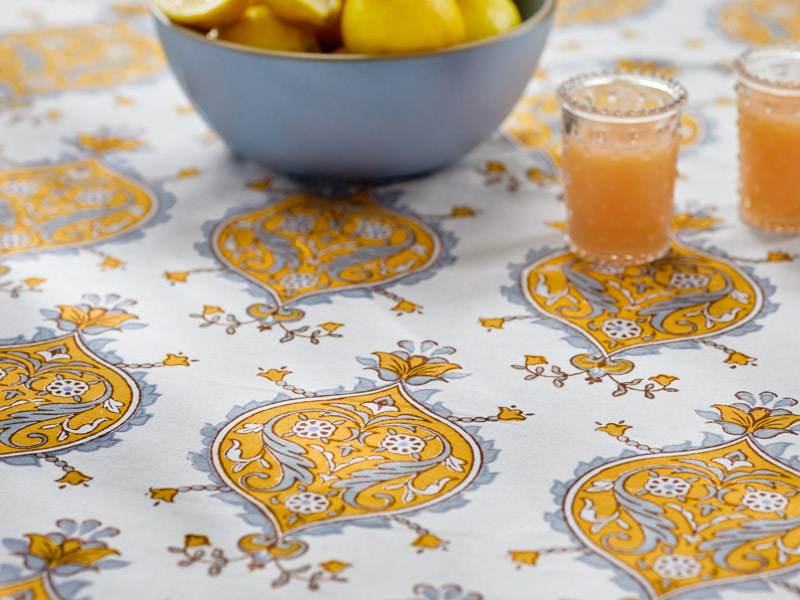 Welcome our luxurious, hand printed linens into your kitchen, living room, dining room, bedroom, and bath, and celebrate your own kind of joie de vivre! Food is at the very heart of France, and is infused with passion, love, and art. While you’re in the kitchen preparing feasts and fare for family and friends, why not surround yourself with inspiration, color, and creativity? 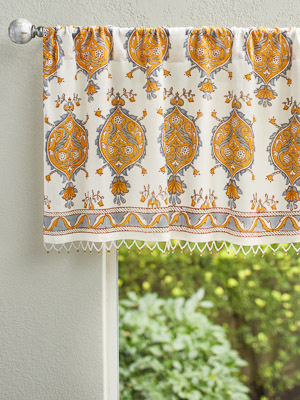 Brighten the heart of your home with our Versailles café curtains and beaded valances. 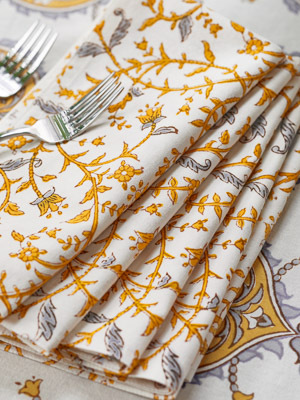 Use our Garden of Versailles cotton dinner napkins whenever you’d like to elevate a brunch, a dinner, or sure – even ice cream. 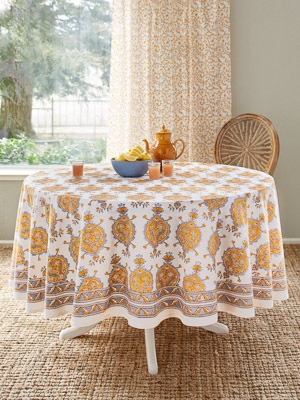 These hand printed beauties will make everyone at your table feel just a little bit royal. We love our runner across natural wood, as shown here. The contrast of high design and organic texture is stunning. 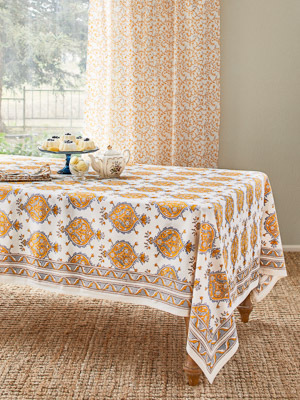 We also think our runners are lovely across a complimentary solid tablecloth. In this case, white, dark gray or yellow gold would be beautiful. 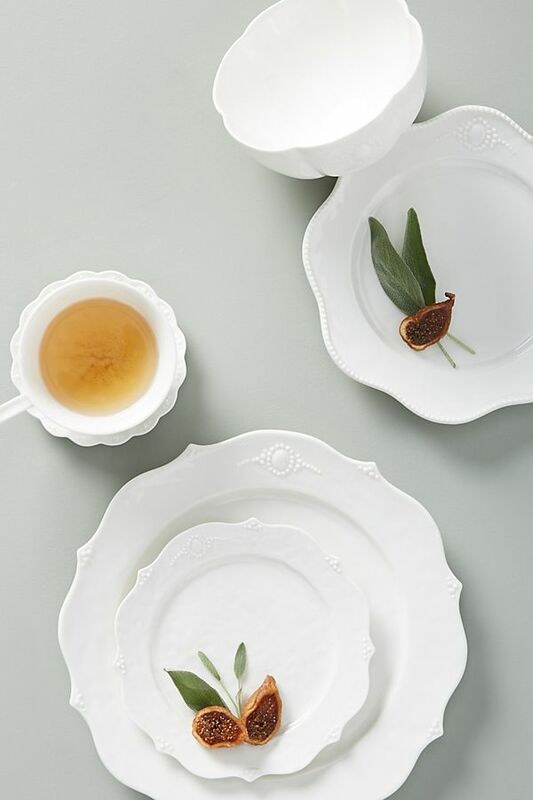 Choose dinnerware that has the simplicity of French country style, along with a few embellishments that hint at opulence and grandeur. 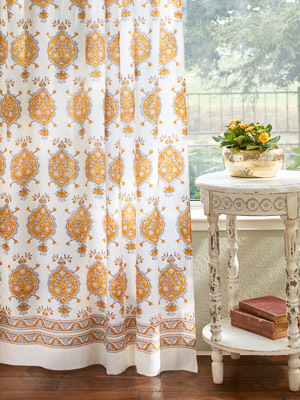 Our fleur de lis French country curtains add cheery color and bold style to any space. These are as lovely with the relaxed look of natural woods and whitewashed furniture as they are with the more sophisticated style of Provencal furniture and decor. 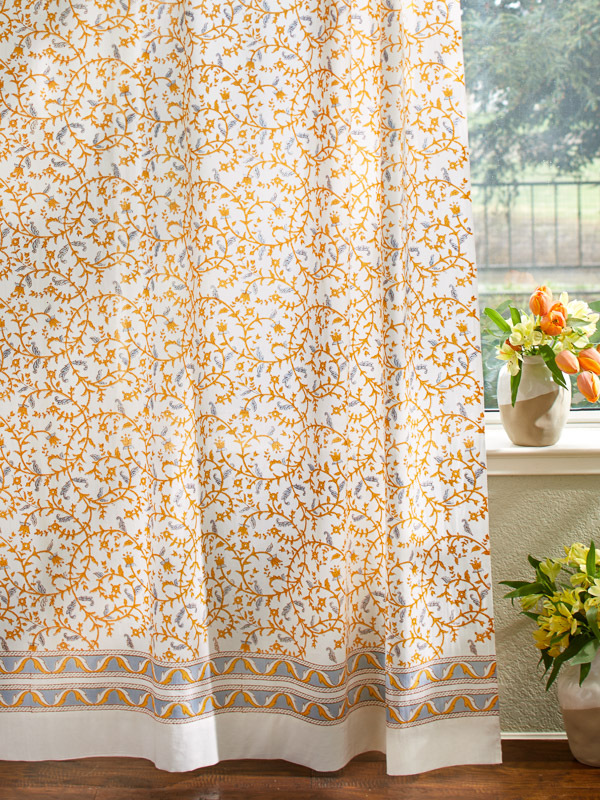 Use our rich yellow and gray curtains to style your own unique look! 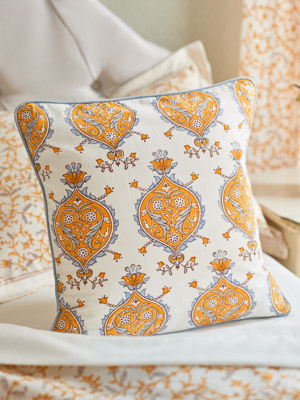 Make a connection to your splendid Versailles curtains by tossing a few complementary Gardens of Versailles throw pillows here and there. 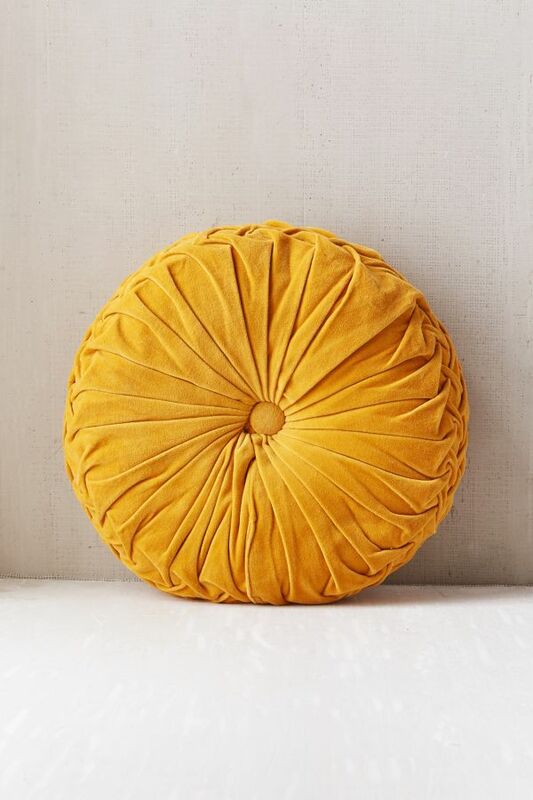 They can be staid and noble, in matching positions at the ends of a couch, or they can be a bit more light hearted, acting as pops of our favorite yellow and gray scheme on a side chair or two. 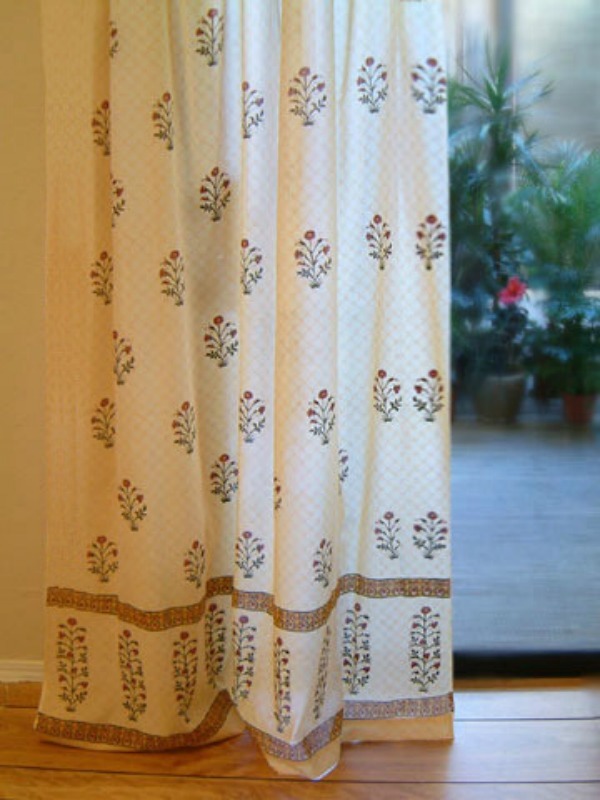 Ballard Design is a go-to for reasonable, elegant decor. 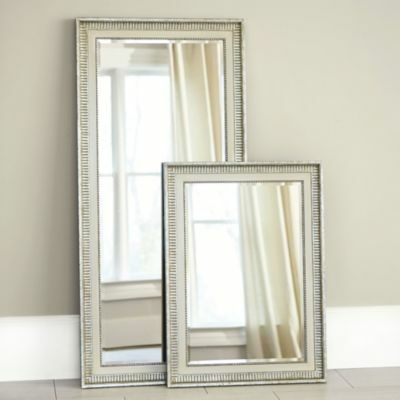 Yes, do layer mirrors on the floor as in this photo! It will add light to your space, and give it the feel of an artist’s garret just around the corner from the palace. We love velvet for this space, and we love a solid, deep gold along with the scrolling design of our Versailles series! Using a complementary solid really creates a striking, cohesive look. If the kitchen is the heart of the home, the dining room is where you wear that heart on your sleeve. Everything is on display – all of your hard work, expertise, and daydreams are served up with love at the table. 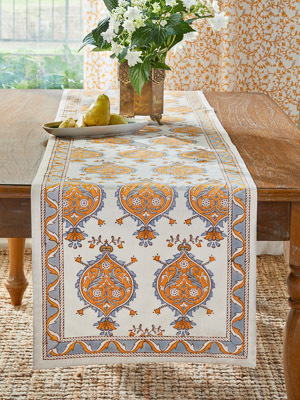 Let’s imagine our French Provencal dining room with lots of style, panache, and full of warm welcome. 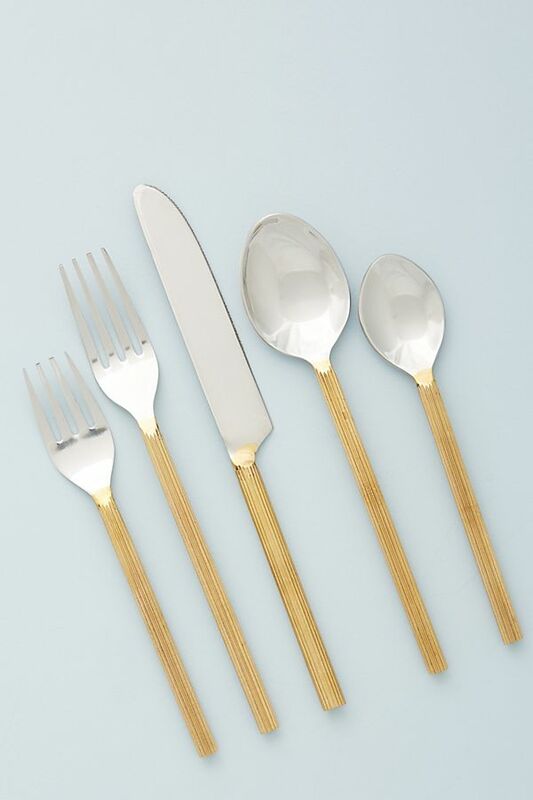 Timeless, elegant, and yet simple and modern, this flatware in gold and silver is a royal match for our yellow and gray tablecloth. We love the dual tones because they allow the freedom to play with warm golds or cool silvers at your table! 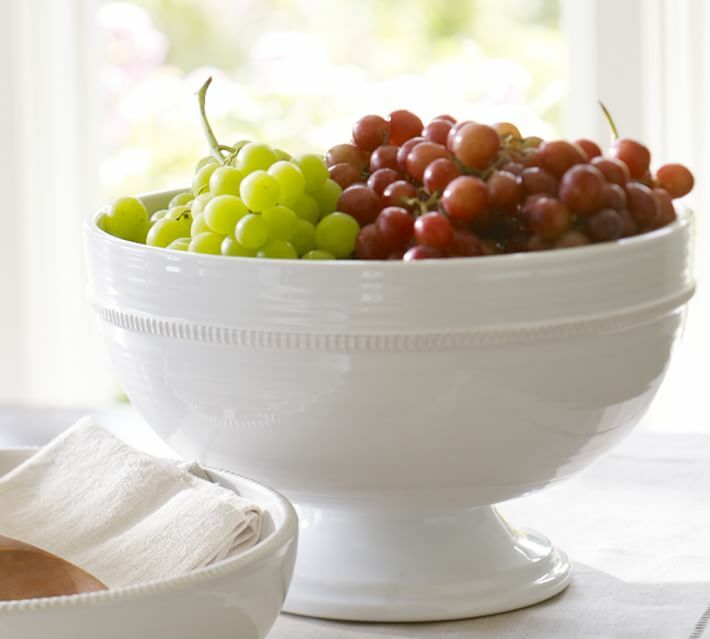 Serve fruit, breads, creme puffs, whatever you fancy in this oversized, detailed pedestal bowl. It’s sturdy enough to last for decades, and timeless enough to be stylish the entire time. 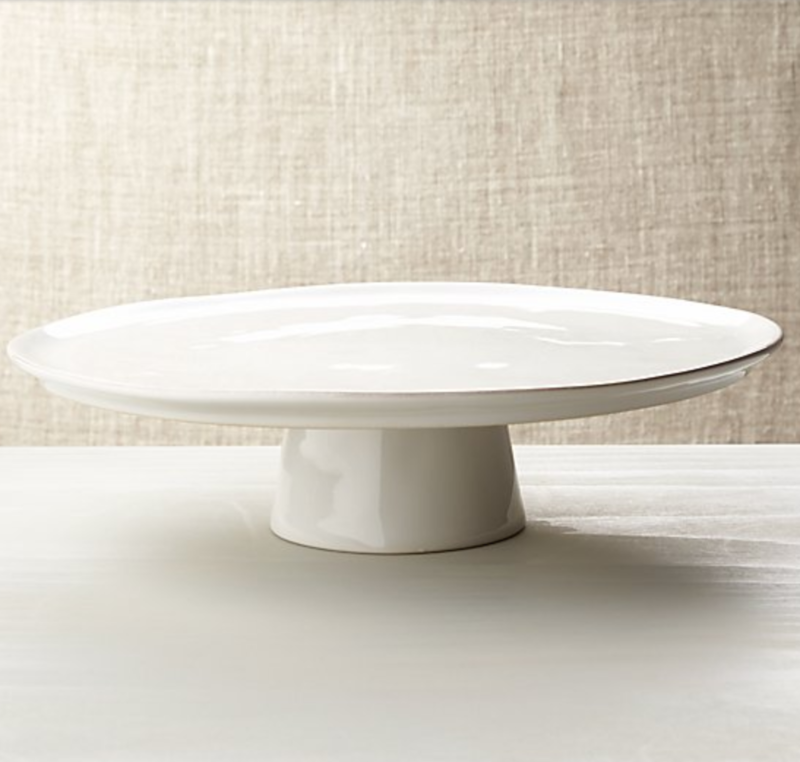 Of course, dessert must be served, and we like the idea of serving it atop a creamy, rustic cake stand. You’ll hear ooohs and aaahs, not just for your delectable delicacy, but for the elegant presentation as well. 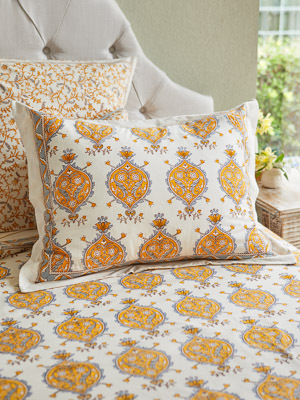 French bedding takes your private “me” space to the next level. 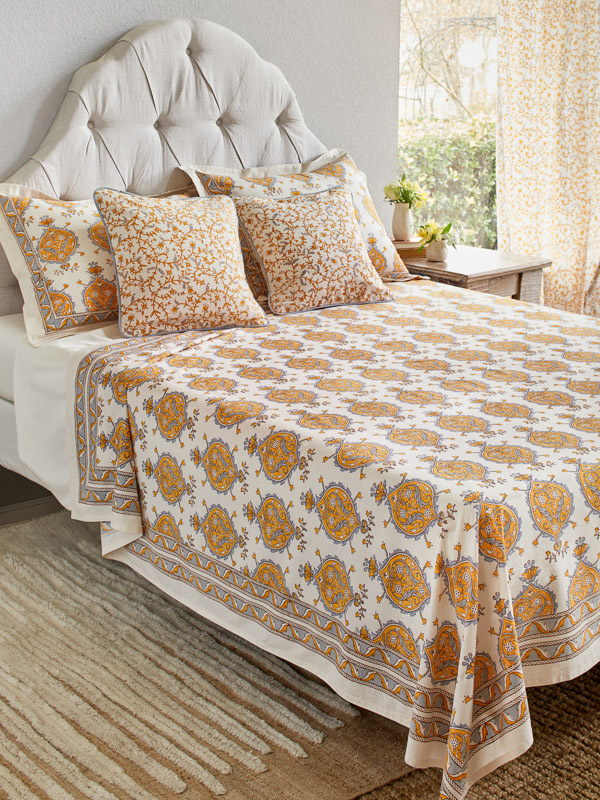 Spread our french bedspread or duvet across your bed, add plump yellow and gray pillows, and you’ll be ready to relax and enjoy your new boudoir in no time! 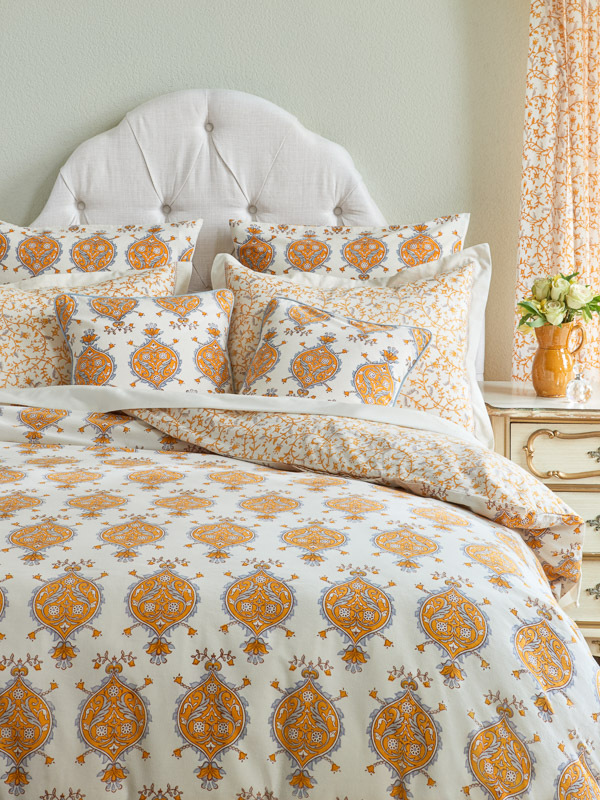 Yellow and gray medallions stand in at royal attention across our stunning Versailles shams. 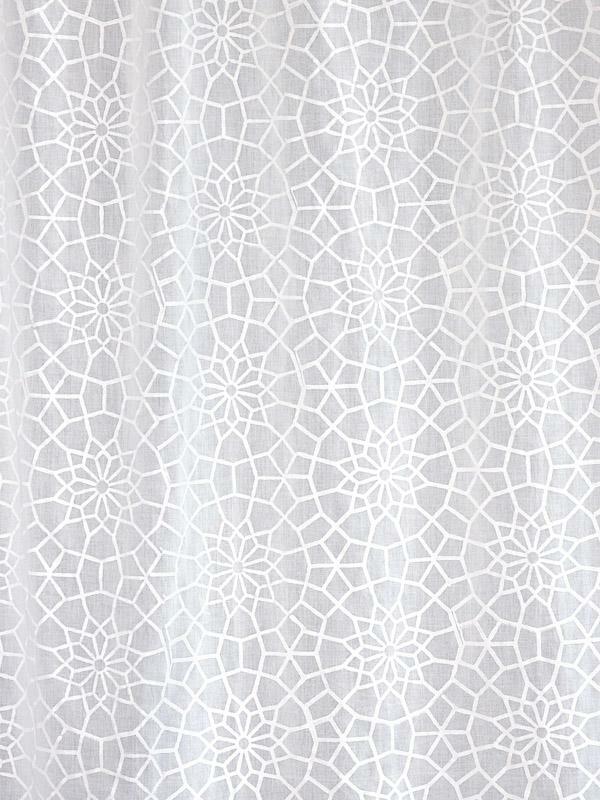 You’ll love to prop these up in front of some euro shams to layer on the sumptuous look you have going in your glamorous bedroom. 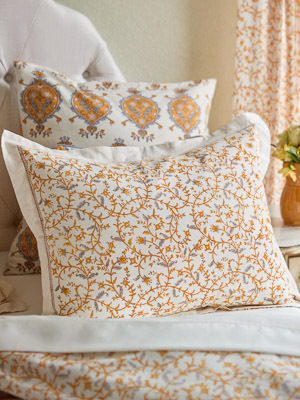 Euro Shams make an ordinary bed into a standout, special space. 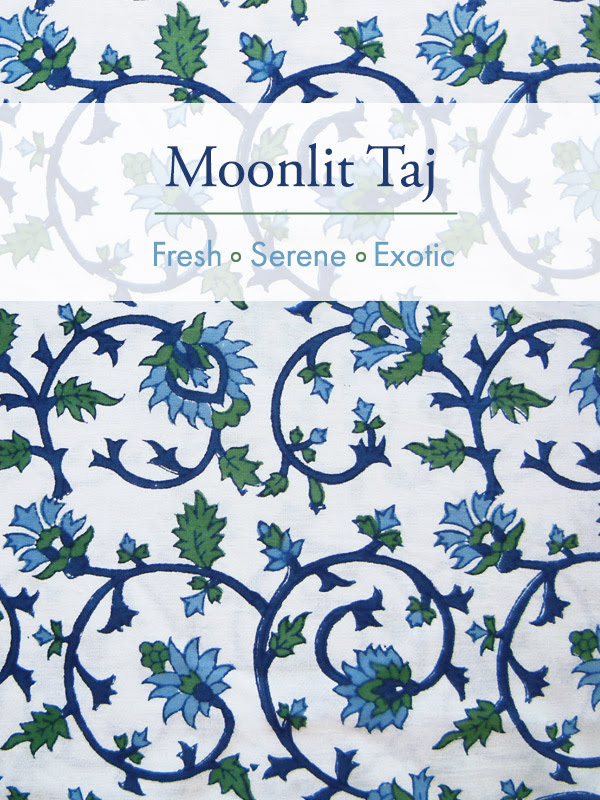 They are the little bit of “extra” that turn your bedroom into a glamorous retreat; a place where you not only sleep, but feel warm, welcomed, and at ease. 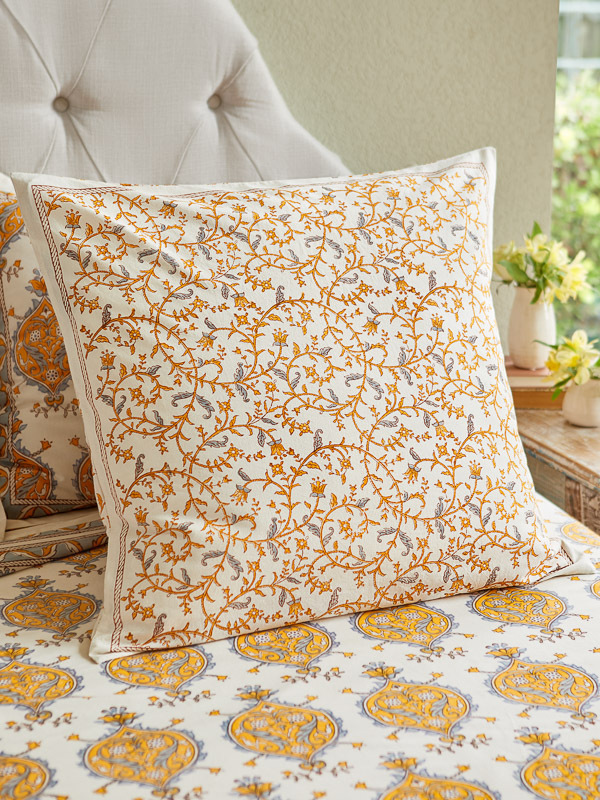 If you are that person who is a little extra with the pillows, we have one more for you to consider! 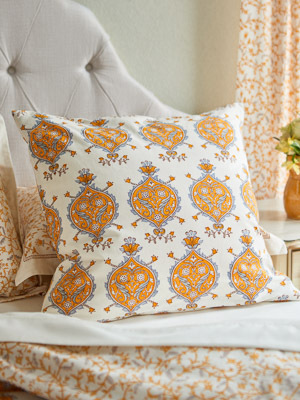 Center a smaller throw pillow in our Versailles pattern as the crowning jewel of your palatial bed. A French bath sounds wonderful and indulgent. Why not create one of your own? 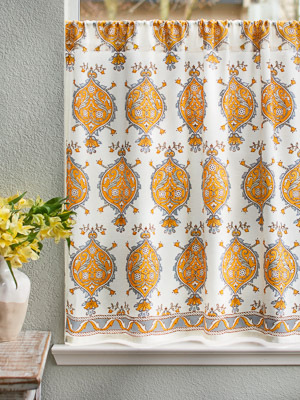 Hang our medallion print curtain in the bath, and introduce color, baroque style and a bit of a gilded shimmer. You can imagine yourself a princess each time you step inside! 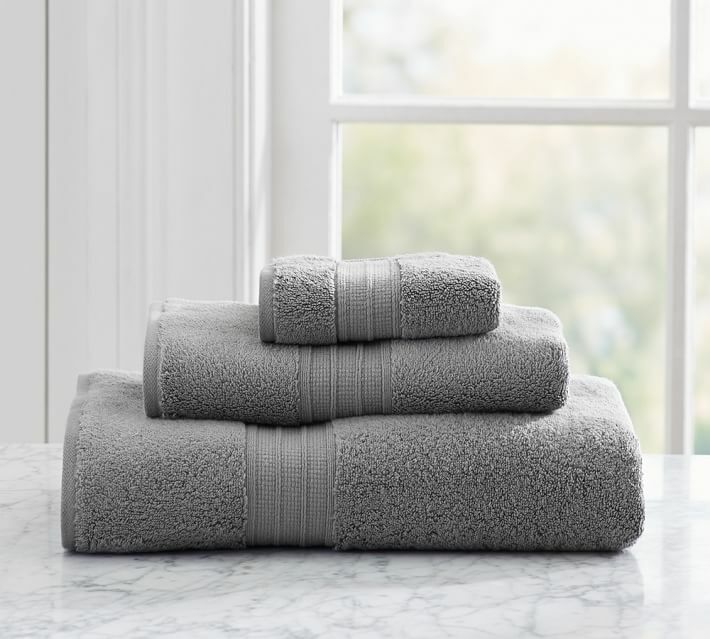 Towels are functional (and this quick dry cotton towel is wonderful at its job), but they are also part of your design scheme. 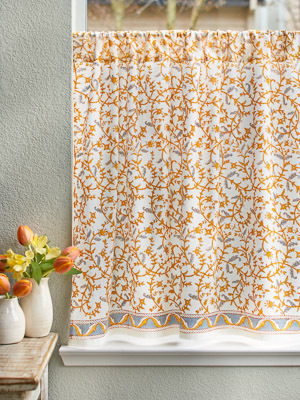 We like a very dark gray to work along with the colors in our Versailles cotton shower curtain. 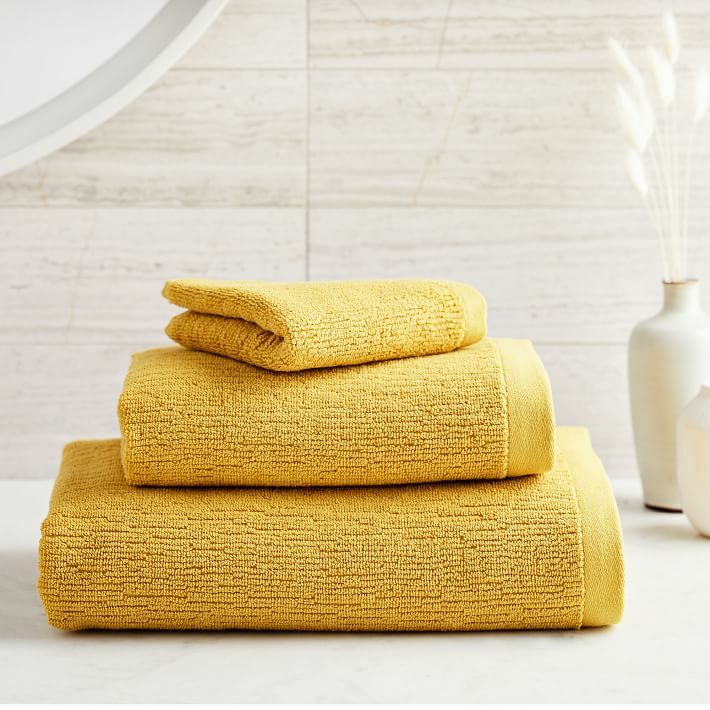 Make your look really sing by layering organic cotton towels in rich yellow gold along with the dark gray. 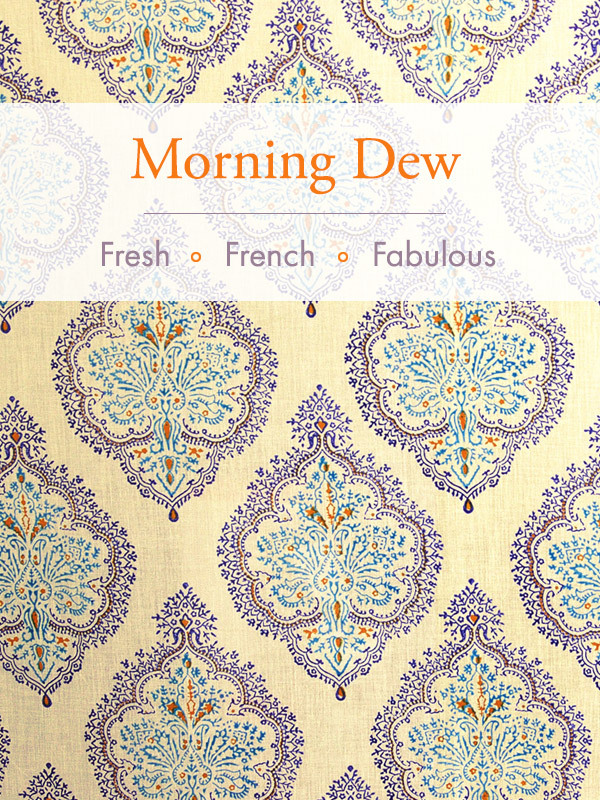 You’ll love these solids together, and they’ll bring your French Provencal bath together with ease. Choose a bath mat that eases into the color scheme, but doesn’t steal any attention. 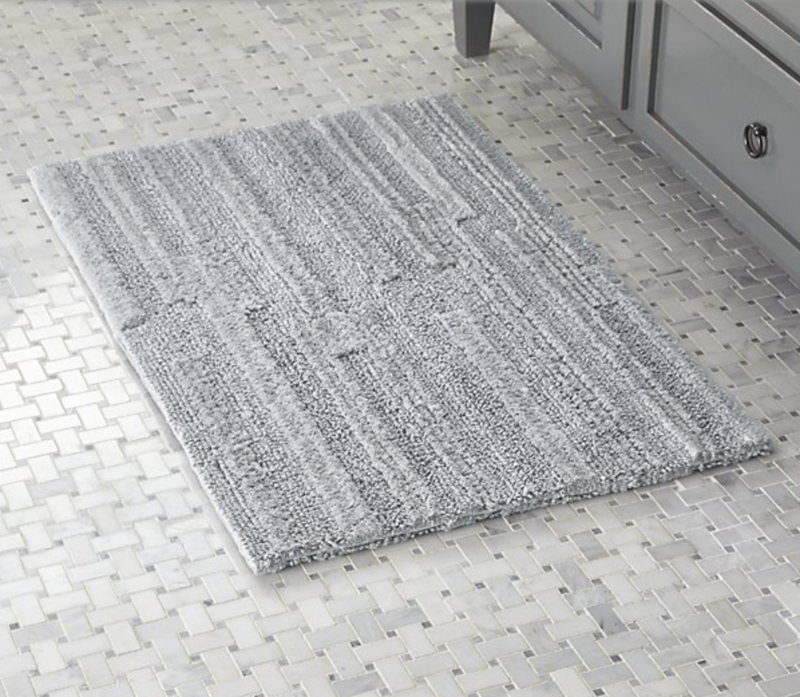 We like this soft, washable bath rug in a pale, easy gray. 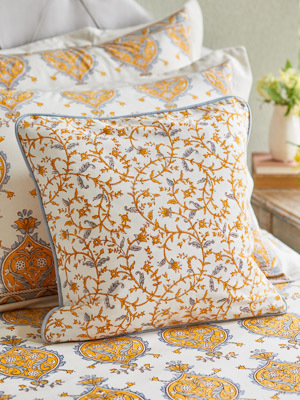 If you love the look and quality of Saffron Marigold linens, then you may well want to build your style with some of our other global prints! Take a look at these, which work well with Versailles! 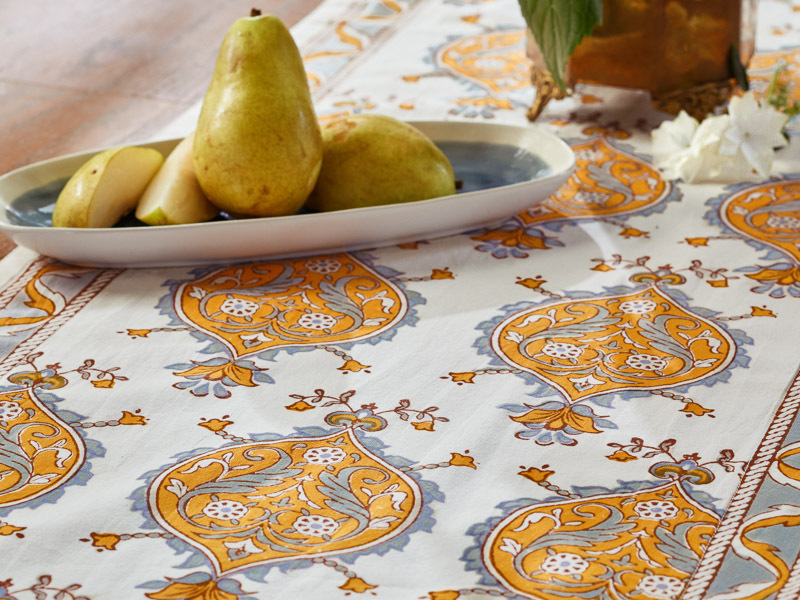 Perhaps it’s no coincidence that another royal print works so well with Versailles! 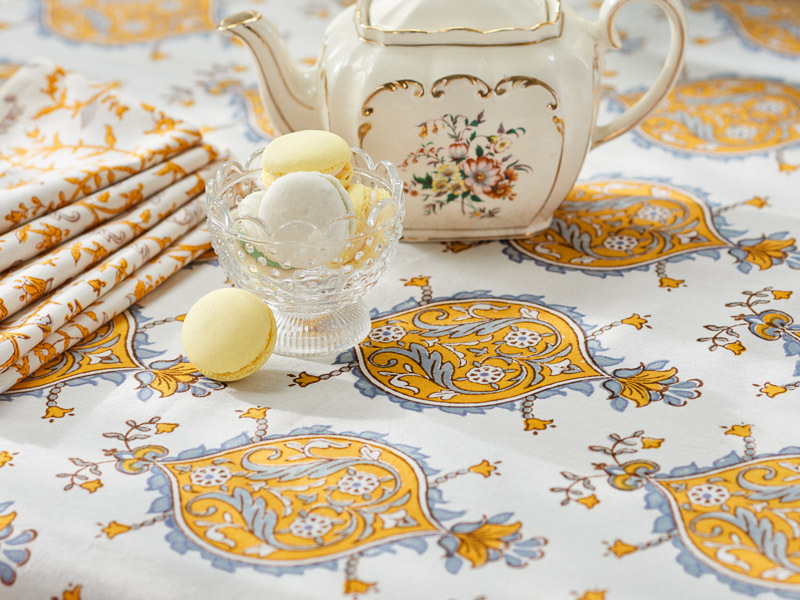 Round medallions mimic the yellow and gray design on Versailles, and the white on white makes it an easy coordinate with the color scheme! 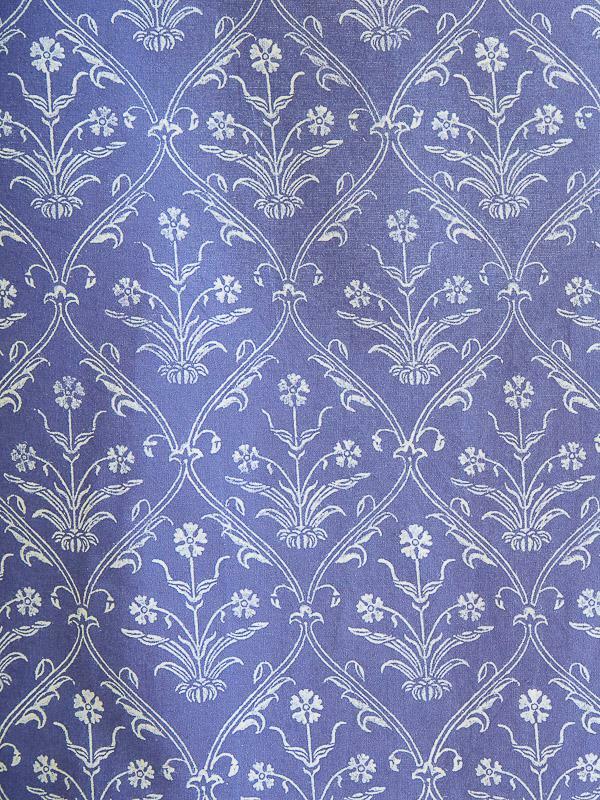 This pale purple and blue print is a fantastic coordinate! The purple will resonate wonderfully with its complement, yellow, and the Victorian style calls back to another age of glamour and intricate design. 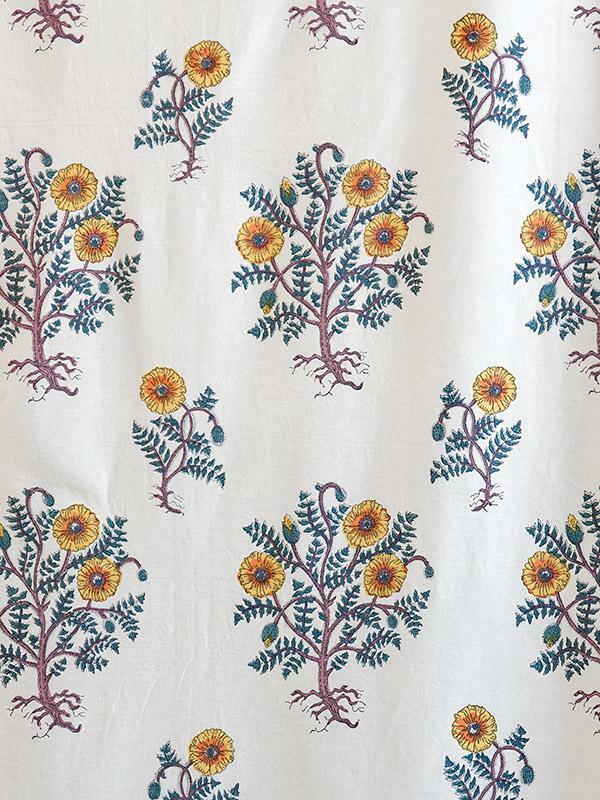 We like our French country Wild Poppies print with Versailles, too! 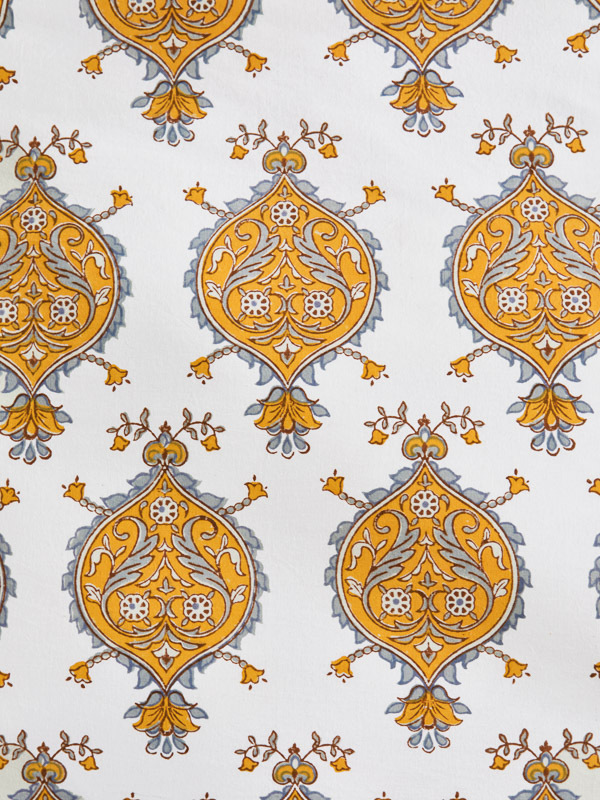 The cheery yellow flowers are a perfect match for our sunny yellow gold Versailles print, and the sense and style of the print will be right at home in a French country space.